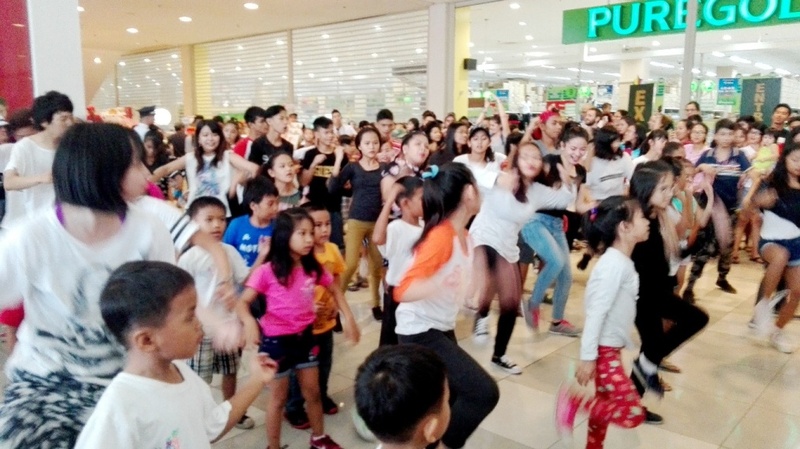 ACTION, Inc. organized the 2nd Flash Mob for Chikara children beneficiaries on August 12, 2017 at 4:00 PM at Harbor Point, Ayala Mall, Olongapo City. Eighty-one (81) children beneficiaries (26 boys, 55 girls ) including eight (2 male, 6 female) Japanese student campers from different universities in Japan participated in the event. Their performance lasted around 7 minutes with the song of “Despacito” by Luis Fonsi and “Shut Up and Dance with Me” by Walk the Moon. All the participants were trained by the Chikara Dance Instructor, Mr. Ferdinand Telmo also known as Kuya Bhong. The children gave their best during their performance. Their joy in performing was very evident in their smiles. This activity was an opportunity for these children to show that they are capable to stand up and stand out despite their very challenging lives. This is also serves a motivation for them to continue participating in the Dance no Chikara Project. ACTION is looking forward to have more similar activities that would boost children’s confidence and positive outlook in life.